In the past, corporations were able to gain an advantage by focusing on becoming the dominate player in their space. Hence, they primarily pursued competitive advantage by focusing on economies of scale, and improving their capabilities and competencies. Boston Consulting Group (BCG) argues that this approach is no longer enough. Signals: Everyone has information. The challenge is to find and focus on the right information. To “extract the relevant signals, process them rapidly, and adjust the organization accordingly” is key. Systems: Knowing how to look at your company as a system isn’t enough anymore. Seeing and managing your company as part of a larger system is needed. Social: The concern and demand for social and ecological considerations are increasing. Interestingly, Hybrids were not predicted to be profitable. However, today customers pay 20% more for the Prius because of its fuel efficiency. Simulation: Simulation can increase the chances of success and reduce overall costs. Simulations enable one to consider and test variables in a virtual world before making big investments. People: Companies must change and adapt quickly. Innovation is needed at every level. More motivated, competent, and empowered people and teams are needed. More contractors and partners will be used to develop and manage products and services. What information will best signal us where to focus and make adjustments to gain a competitive advantage? 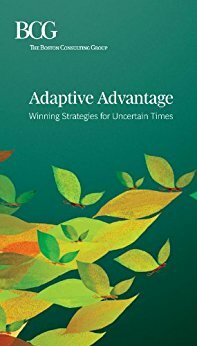 How can we adjust quickly to the various signals? Do we understand our business systematically? Do we really understands what this really means? Is our business part of a larger system today or a possible larger system tomorrow? What larger systems perspective would give us a competitive advantage? What social and ecological factors impact (or will impact) our business? How could we gain a competitive advantage is this area? How can we gain a competitive advantage by using simulations? How could we gain a competitive advantage through better tapping into and building the talents and passions of our people? How will we need to change? How can we best do this is short periods of type?